David Rosen, an American officer stationed in Japan, was once Service Games’ biggest competitor in the photo booth business. But following a merger between Rosen Enterprises and Service Games in 1965, Sega Enterprises was born. Under Rosen’s leadership, Sega began internal game development with the Production and Engineering Department. At the time, it was simply a necessity for Sega’s business to grow, but in time Sega’s internal development teams would define what makes Sega… well, Sega. In this, the first part of our Sega Japan R&D retrospective, we’re looking back at the men and women who made games at Sega from the start of the company through to the 80s. Giving a well deserved nod to those who defined home console and arcade gaming for millions. As mentioned, before Sega released their first home console (the SG-1000), there was the Production and Engineering Department. There, many Japanese employees were hired who would go on to move up to crucial executive roles later in the company’s life. 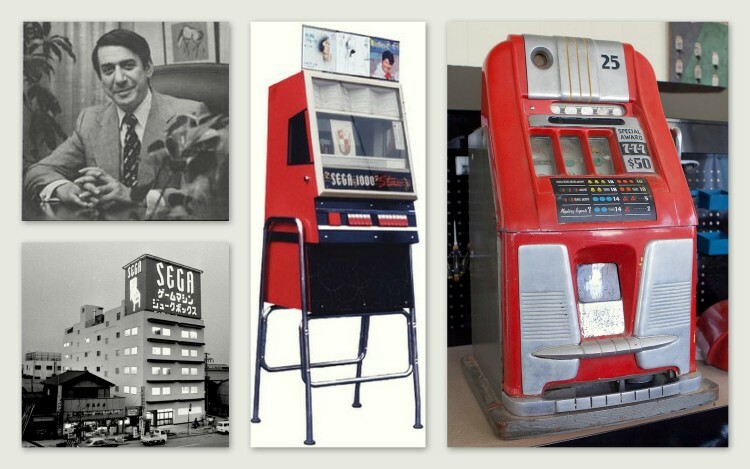 One of the first employees Sega hired in the early 60s was Hisashi Suzuki (no relation to Yu Suzuki). 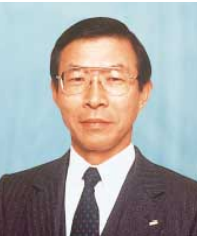 Initially, Suzuki only joined because before Sega was bought by CSK, it was owned by a foreign company and in Japan that had its benefits with lots of holidays compared to other companies in the country. Developing mechanical arcade games was a whole different ballgame compared to software development. just imagine it: with software, everything you can imagine you could program. But making everything by hand meant that becoming a seasoned developer’s game didn’t just happen in three years time like a game programmer, but it actually took nearly ten years time. During the timeframe from 1965 and 1972, forty-eight mechanical games were made. Hideki Sato, in the early days. A crucial turning point was when Sega released their first commerical video game in Japan. A pong conversion called Pong Tron, which resulted in the transition from relays to transistors and IC’s. Part of that group was Hideki Sato, who joined in 1971. Hideki Sato would further evolve Sega hardware starting from arcade boards and eventually to Sega’s first home hardware, the SG-1000. Sato would become of what you might consider the embodiment of all of Sega; as he is considered the father of Sega hardware. However the REAL turing point would come in the 80s with the purchase of the Japanese CSK Corporation in 1984. It was at this point that American management under Rosen ended, with Hayao Nakayama and Isao Okawa taking over the presidency and chairman roles. Sega transitioned to unified arcade boards in the late 70s and produced a total of fifty-three arcade videogames from 1973 to 1983. Some of them were made by Gremlin Industries, an American arcade company, showing Sega’s American roots, and Coreland would become the very first of many Japanese partners which would release Pengo in 1982. The System16 arcade board introduced in 1985 introduced some of Sega’s first iconic games like Fantasy Zone, Shinobi and Golden Axe, and served the basis for Yu Suzuki’s Super Scaler games Hang On and Space Harrier, as well the Mega Drive and Genesis consoles. You could consider the System 16 the birth of Sega. From now on, leadership of development was composed of Hideki Sato, who as mentioned is Sega’s main hardware man, and Hisashi Suzuki, who by then, had twenty years of experience under his belt. By 1984 there were two studios, one for arcade and one for console. 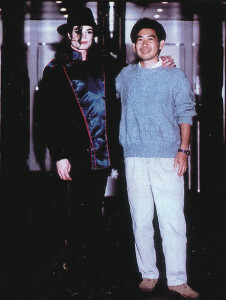 The software R&D was under the leadership of Yoji Ishii. 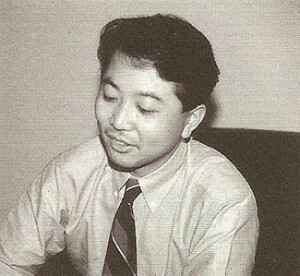 Ishii-san is Sega’s most senior developer in software, having joined in 1978, and is the most well known. Unfortunately, nobody knows who was behind games such as Zaxxon and Congo Bongo, as proper credits were unheard of in games of the time (some speculate because video game companies feared the competition would learn who made what and would attempt to hire them for themselves). Ishii, however, worked on games where Sega really found their own identity. These would include game designs for Flicky, and directing Fantasy Zone as well as assisting on Yu Suzuki’s 80s arcadeclassics. Kotaru Hoyashida was known primarily as the Alex Kidd guy. He also did all the planning and scenario writing for the very first Phantasy Star. But he has done a bunch of other work too, mainly more obscure Master System and SG-1000 titles. He left Sega for Game Arts in the 90s, with his last credits being arcade port credits on the Sega 32X. Hisao Oguchi, who joined in 1984 as a planner, made a cute penguin puzzler called Penguin Land. He also did Super Monaco GP in 1989, but its unclear what he did between that. Nonetheless, he become a big time manager and producer within the company. Katsuhiro Hasegawa, was essentially the 8-bit guy at Sega, producing lots of Master System and Game Gear versions of games. He stuck around at Sega until about 1997, on the programming side. Junichi Tsuchiya, who would stay with the company for awhile, was mainly the sports guy. He worked on sports games games like Heavyweight Champ and Arnold Palmer Tournament Golf. 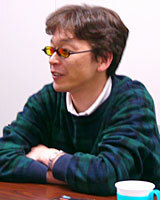 Makoto Uchida directed some major arcade games including Altered Beast, Golden Axe and Alien Storm. Ooka Yoshiki would contribute as programmer to Quartet, Gain Ground, Heavyweight Champ, Shadow Dancer, and had also contributed to Sega’s very first medal game (sort of a gambling game in Japan, which exchanges cash for tokens), World Bingo. He actually stuck around Sega until 2003, but worked more in the background with third party companies on the technlogy side of the Saturn, Dreamcast and also helped in the small 32X, Mega CD and PC studios. 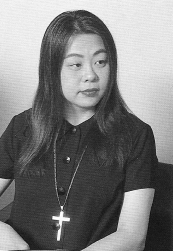 Rieko Kodama was a big time artist being credited for about five games a year, eventually doing art directing and contributing heavily to Phantasy Star I and II. Yutaka Sugano directed and designed the very first Shinobi as well as CrackDown on the System 16 arcade hardware. Like Ooka, he also stuck around at Sega, but mainly in the background. He went overseas to assist on Sonic titles like Sonic 2 and Spinball, and then produced titles in Europe that came from Japan – like the The House of the Dead arcade port that was made in Europe. Noriyoshi Ohba may have not done much of significange in the 80s working as planner for Master System titles, but at the tail end of the decade he produced The Revenge of Shinobi in 1989. Tomohiro Kondo also remained relatively quiet in the 80s but did do game design for Shadow Dancer and would gain a significant position in the 90s (learn more in our next installment!). Yuji Naka of course, was also someone who joined in the 80s, and like Hisao Oguchi started with a small SG-1000 game called Girls Garden. Naka would become an unexpectedly powerful figure within the company later on. His early programming and leadership talents were showcased in programming the first Phantasy Star and producing and programming Phantasy Star II. 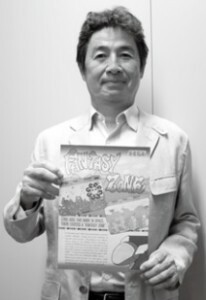 And of couse Yu Suzuki, who would perhaps become the biggest contributer to Sega’s success in the 80s. After doing Champion Boxing in 1984, he would combine the advanced software capabilities of Sega with the mechanical strenghs it honed since the 60’s. The result was Hang-On, a big hulking mechanical game where you sit on a bike to control an in-game bike. It was the world’s first “force feedback game” with hydraulic functions. Suzuki would make more such games with Space Harrier, After Burner and perhaps the coolest of them all, the R-360. This was actually part of Sega’s larger initiative of making Japanese arcades a brighter place for casual players and a broader audience. 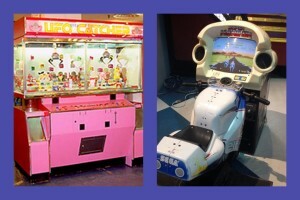 I don’t know if Sega is the world’s first maker of a crane game, but in Japan, the UFO Catcher is one of Sega’s biggest prides (even appearing virtually in the recent Yakuza games) and it also showed Sega’s still great capability in mechanical hardware despite transitioning into video game software long ago. Cabinets with hydraulics and claw games elevated arcades in Japan to a broader audience. Of course the people mentioned here along with their games aren’t everybody and everything at Sega at the time, however these people and their work are the most well known – and as mentioned, some are simply (and sadly) unknown to us. However, with a known amount of four managers and mainstay in-house staff of eleven planners, five programmers and five designers, Sega produced a large amount of games in the 80s. 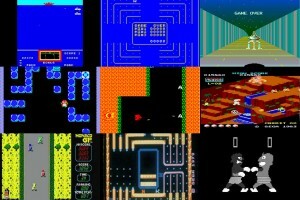 Sixteen arcade videogames for their System 1 platform. Thirty games on the very successful System 16 platform. Three games on the System 18 platform. Three games on the System 24 platform. And lastly eighteen games on the Super Scaler hardware. On the SG-1000, Sega would produce thirty-two games in total, and six external ones. On the Master System, Sega would produce seventy-five games, and fifteen external ones. On the Mega Drive/Genesis, for the time that it was on sale as of 1989, Sega would already produce ten games. In Part 2, we will take a look at the growth of Sega’s studios in the 90s, and the formation of individual studios! Nice read. But it is always back in the days glory. Will sega ever rise? I recall reading the house of dead port for the saturn was developed in melbourne, Australia, not Europe as stated.